These days although my skin is less oily I'm still prone to the odd spot or two so I'm always on the lookout for a gentle but effective range to deep cleanse and treat any blemishes. 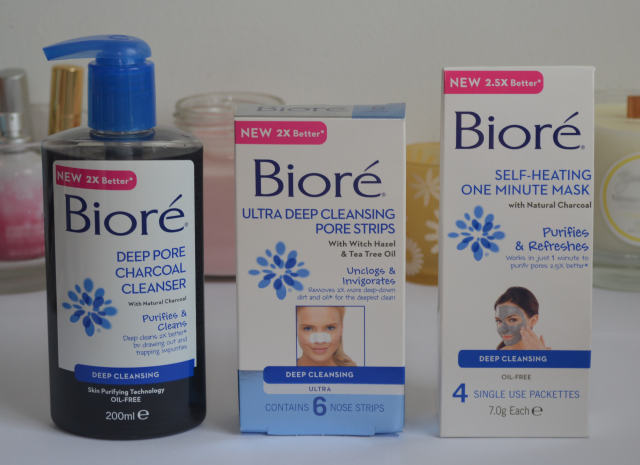 Bioré uses natural charcoal which gently draws out impurities and traps them within the product, ensuring skin is left feeling clean and refreshed. One of my favourite things about the Deep pore charcoal cleanser is that it has the most amazing fruity fresh scent. The menthol gives it a nice tingling sensation and although it contains SLS there's not much of a lather and I don't find it to be drying on the skin. In the evenings I would always use a balm cleanser, but because this is so refreshing and easy to rinse away, it's the perfect morning pick me up. Whenever I'm having a bad skin day I like to use a more intensive treatment and for days when I'm really stretched for time, the Self heating one minute mask is a must have. To use you simply apply the mask onto a damp face and on contact with water it automatically activates and heats up. You can rinse this away after just 60 seconds and afterwards my skin always feels deep cleansed and less oily. I like the fact that it comes in individual sachets too, as the mask will never dry out and it's handy to pack for any trips away. Finally there's the newly reformulated Ultra deep cleansing pore strips which definitely takes me back to my teenage years. I'm not sure why I ever stopped using them but it's safe to say the obsession is back and after seeing the effect they had on my blackheads, I shall now be making time for the pore strips on a weekly basis again. 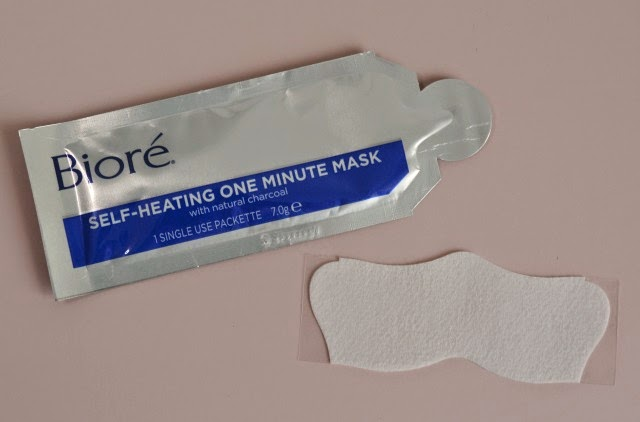 Were you a fan of the original Bioré pore strips? 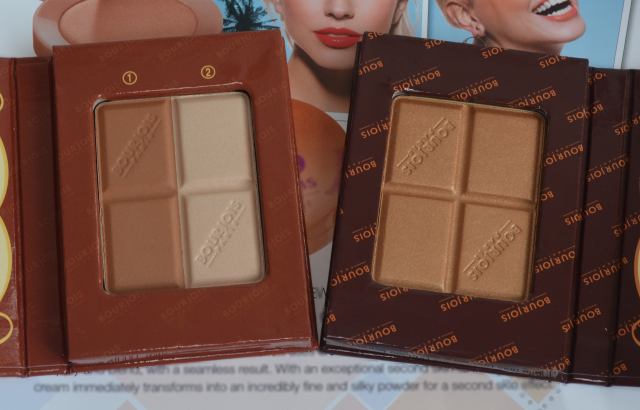 Will you be giving the new range a try? Whether it's health, appearance or a special occasion we all have our reasons for wanting to lose weight and this summer Slim.Fast are encouraging us to share these reasons using the hashtag #SlimFastMoments. Whether it's clothes not fitting or an unflattering photo I'm sure many of us have been there and the idea is to have a laugh and help motivate each other along the way. Personally I'm lucky enough never to have been caught in an embarrassing situation, although there have been more than my fair share of unflattering photos and with several big events happening next summer I want to make sure I'm looking my very best. With the Slim.Fast 3.2.1 plan you can adapt it to your lifestyle and I like the idea of their meal bars as I'm always running late in the mornings and they're quick and easy to grab on my way to work. Weight loss aside I'm also keen to improve my overall health, so as well as cutting down on the unhealthy snacks and takeaways I'll be re-joining the gym and exercising more. Slow and steady wins the race and I'm hoping that with some small changes to my diet and fitness routine I'm be looking my best and feeling most confident next summer! Have you had any #SlimFastMoments? Any top tips to help me along the way? 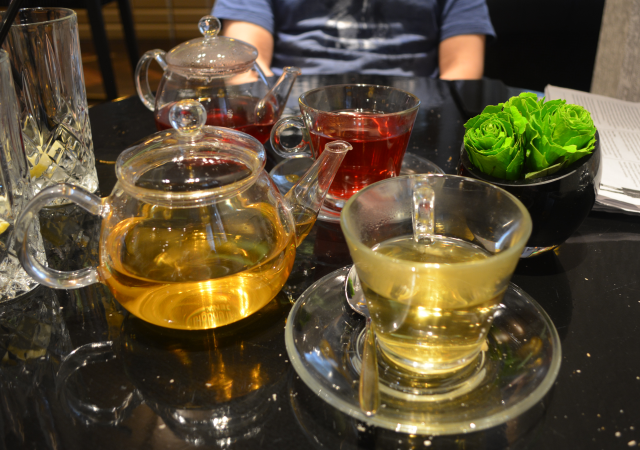 With oily skin the temptation is to go for something less nourishing, but one of the best advice I've been given is that you should always counteract oil with oil. The great thing about Clarins lotus face treatment oil is that unlike most other skincare oils this is specifically designed for oily/combination skin and is made up of 100% pure plant extracts. There's rosemary, geranium and lotus to purify and tighten pores as well as hazelnut oil to soften, soothe and prevent fine lines. A little bit goes a long way with this oil and I find 3-4 drops the perfect amount for my face. The pipette makes application nice and easy and I like to take the time to really massage this into the skin. Although it's an oil I don't find it to be heavy or greasy on the skin and come morning it's always fully absorbed, leaving my skin looking plump and radiant. 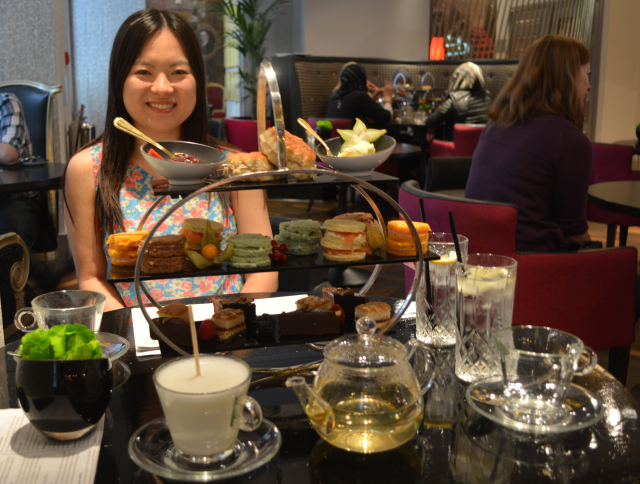 What really impresses me though is that it's helped my skin to feel more balanced. The dry areas are no longer as tight and my T zone less oily during the day. Any breakouts seem to heal faster and there's less scaring too. Overall a big thumbs up from me. 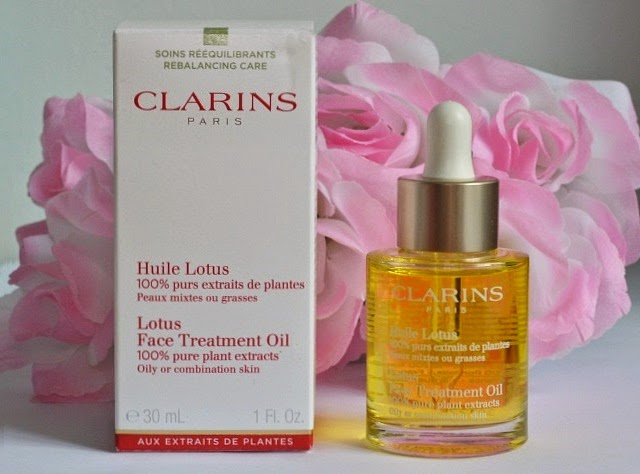 Have you tried Clarins lotus face treatment oil? What are your top tips for dealing with oily/combination skin? 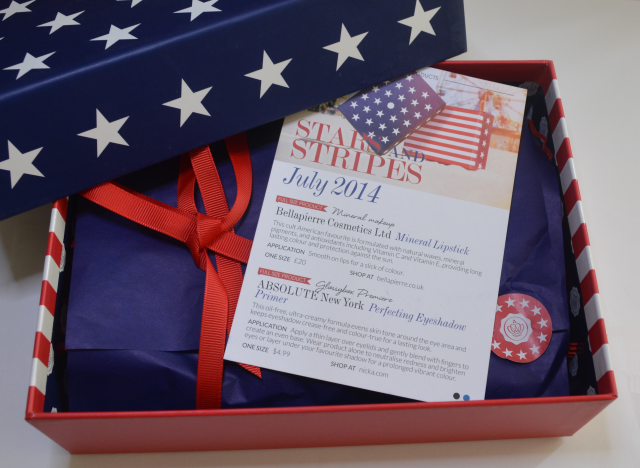 The limited edition Glossyboxes have always been my favourite and I like that this month the American theme has been carried through to the products inside. 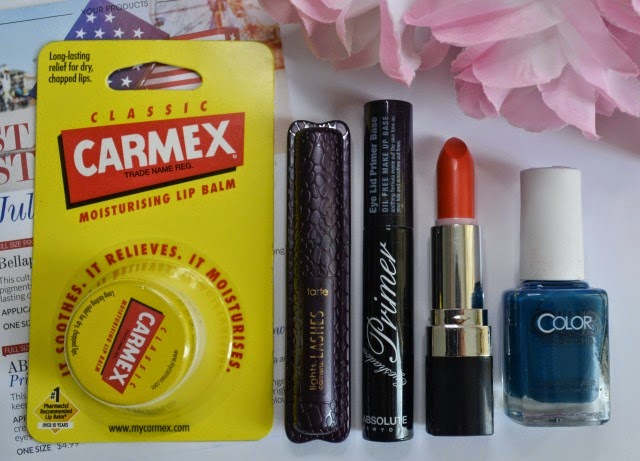 Carmex has always been a favourite of mine, so although it's not particularly high end it's a welcome addition none the less. 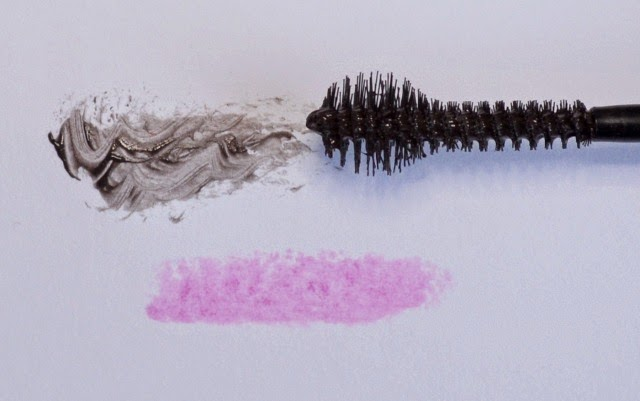 After hearing so many good things about Tarte cosmetics I'm excited to try the new lights camera lashes mascara, especially as it claims to lengthen, volumise, curl and condition. There's also an oil free perfecting eyeshadow primer, Bellapierre lipstick and Color club nail varnish which has been especially formulated for this box. Unfortunately neither the lipstick or nail varnish are shades that suit me, but as they're both so beautiful I'm sure I won't have much trouble passing them onto a more appreciative home. 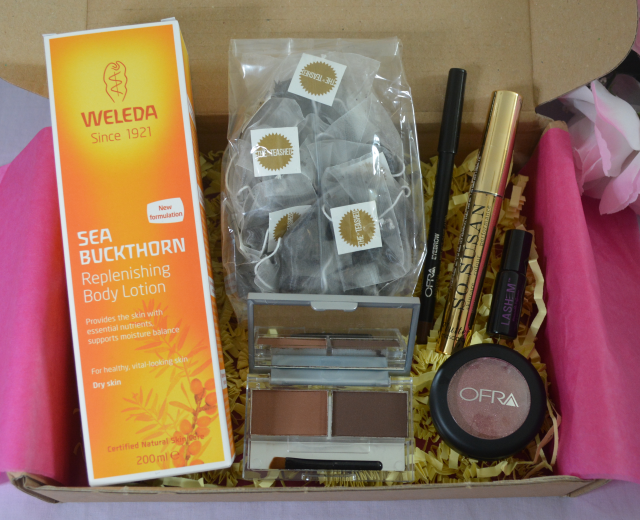 As always with Love me beauty there are 3 boxes to choose from and this month I opted for menu 1 which contains a mini Lashem sample, Ofra pressed eyeshadow and brow liner, So susan brow powder and mascara, Teashed tea bags and a surprise full sized Weleda body lotion. Love me beauty have always been generous with their samples and this month with so many full sized products inside the box adds up to a total of over £60! Looking at some other blog posts part of me wishes I'd gone for menu 2 instead with it's beautiful rose lipgloss and taupe eyeshadow. None the less, the beauty of being able to pick your own box means that all the products inside will suit me and I'm particularly looking farward to trying out the brow products whilst sipping on my Northern brew tea. Are you a Glossybox/Love me beauty subscriber? Do you ever get box envy too? Formulated with Filloxane, a patented ingredient which has been proven to penetrate the hair fibre and expand hair from within. Over time it expands, increases the diameter of each hair and remains in the hair follicule for a long lasting cumulative effect. As always with these claims, the real question is does it actually work? Well having recently tried a full sized bottle of both the shampoo and conditioner I'm pleased to report that over time it did make a difference to the overall appearance of my hair (you can read my review here). 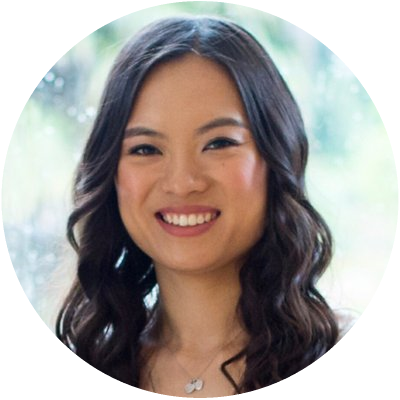 The results weren't instant, but after each wash my hair felt that little bit thicker and after a few weeks it definitely looked more voluminous and had more bounce. Like most high street shampoos it contains SLS but despite having a sensitive scalp, I didn't find to to irritate or cause any problems. Overall, a big thumbs up from me and a definitely a range that I would recommend if you're on the lookout for something to give your hair more volume and bounce. L'oreal elvive fibrology, RRP from £2.99. For more information you can check out their website here. 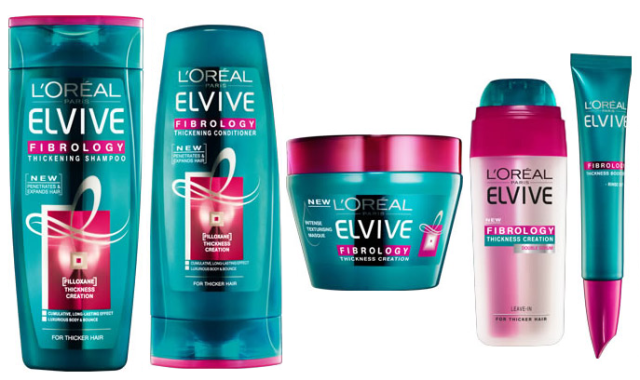 Have you tried the L'oreal fibrology haircare range? 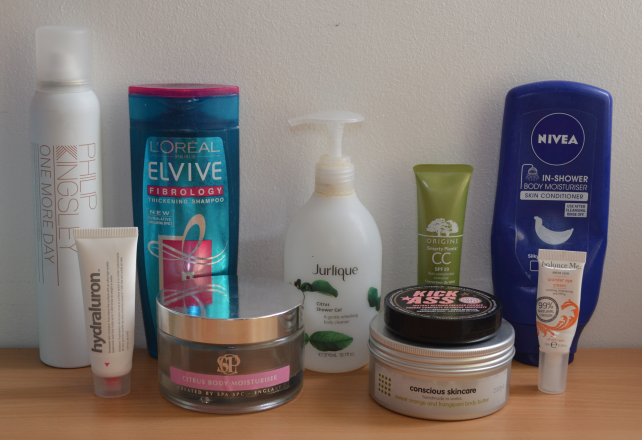 What are your favourite products for adding volume? For me make up removal is one of the most important parts of my daily routine. For the last year or so I've stuck with balm cleansers but recently curiosity got the better of me and I decided to give Antipodes grace gentle cream cleanser a go. As far as names go, this couldn't be more accurately described. The lightly scented cream is gentle but effective, and manages to remove all traces of make up without irritating or drying out my skin. Compared to a balm cleanser it's more easily rinsed off although as you'd expect not as nourishing on the skin. Personally just because of what I'm used to I'd choose to repurchase a balm cleanser over this, however if you have oily to combination skin or prefer a cream formula then this would be well worth a try. 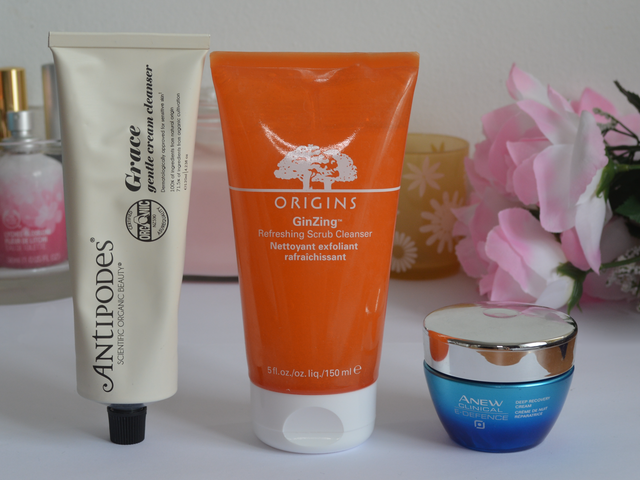 I've always got on well with Origins skincare and their new GinZing refreshing scrub cleanser doesn't disappoint. First thing to mention is that is has orange extracts which gives it the most fruity citrus fresh scent, perfect for waking me up in the morning. 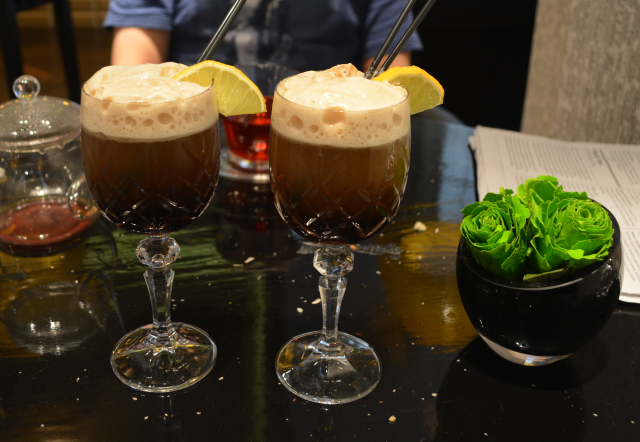 It's also got ginseng and coffee to stimulate the skin as well as fine grains to gently exfoliate. It's a foaming cleanser but there's no SLS and I don't find it to be at all drying on the skin. Unlike a lot of exfoliating cleansers this is gentle enough to be used on a daily basis and I love how refreshed and smooth it makes my skin feel. Finally there's Avon Anew clinical e-defence deep recovery cream. A new moisturiser designed to protect against and repair the effects of sun and environmental damage. Despite being quite a thick cream it feels light and quick absorbing on the skin, and even with the recent heat wave my skin's not been any oilier than usual. Without fast forwarding a few years it's hard to tell the long term effects, however it does leave my skin feeling soft, hydrated and beautifully nourished. Also at a recent skincare analysis I was told that I had almost no sun damage so the cream is obviously doing something right! Have you tried any of the skincare products above? What are your current favourites? 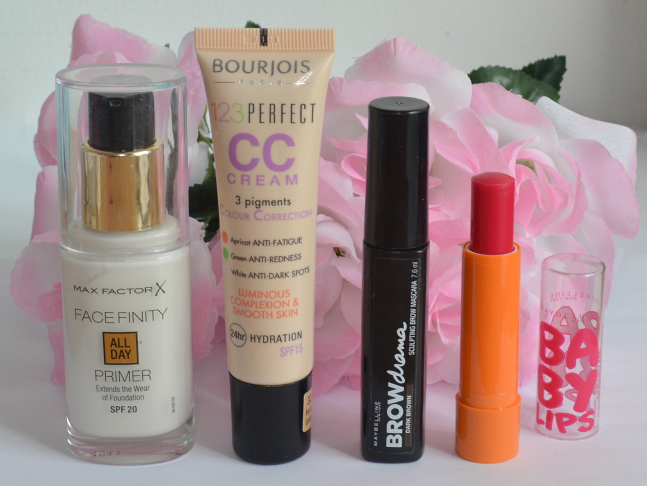 Once again I really liked all 10 items and would happily repurchase all them again. Special mentions have to go to the Philip Kingsley one more day dry shampoo, Hydraluron face serum, L'oreal elvive fibrology shampoo and Balance me wonder eye cream. As much as I love dry shampoos, most of them leave behind a chalky stiff feeling in my hair. 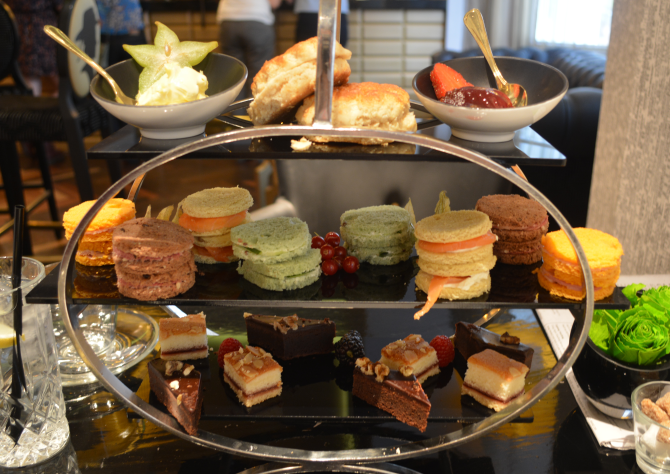 Philip Kingsley one more day on the other hand couldn't be more different. Dispersing a finer mist than most, it managed to absorb grease and add volume whilst at the same time being almost undetectable in my hair. Well worth the extra price tag. Another haircare favourite was the L'oreal fibrology thickening shampoo. At first the results were subtle, but over time I definitely noticed my hair feeling thicker and with more bounce. One of the best high street volumising shampoos I've tried to date. Finally 2 skincare favourites - Hydraluron face serum and Balance me wonder eye cream, both of which contain the wonder ingredient that is hydraluronic acid. The serum goes on like a gel and somehow magically draws extra moisture from any products you apply on top, ensuring you skin is always left feeling supple and smooth. The eye cream is light and quick absorbing, but at the same time super hydrating and soothing on the skin. One of my summer must haves. How did you get on these last few months? What were your favourites? 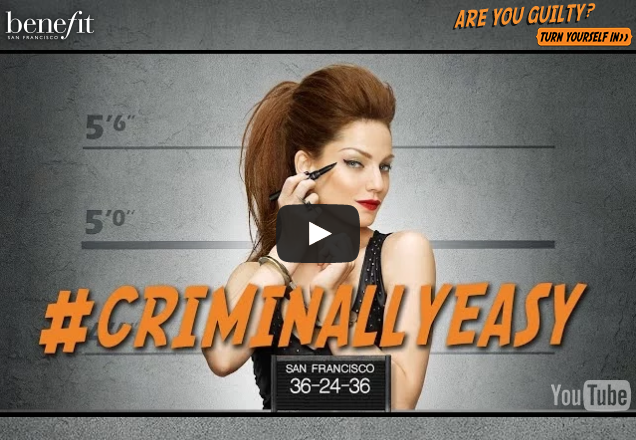 As always you can rely on Benefit to bring out an eyecatching campaign and I love the idea of an eyeliner that's so easy to apply you can do it in the back of a police car. After all if you can achieve perfect flicks in a moving car with handcuffs on they surely everyday application has to be a doodle?! When it comes to eyeliner application we've all been there - too much product, uneven lines and wonky flicks. And as much as I love how much more defined and bigger my eyes look, there have been times when I've just given up and gone without eyeliner instead. So how does the new Benefit They're real push up liner work? Well apparently it's all about the Accuflex tip which hugs the lashline, giving you both control and flexibility, allowing for the perfect application everytime. Combine that together with a twist up matte gel formula and it sounds like the ideal product for beauty noobs like myself. 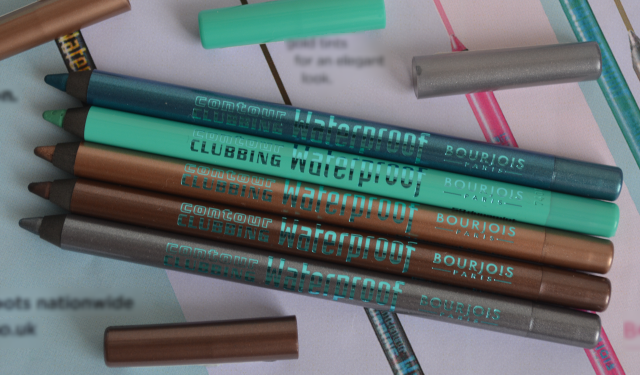 Plus it claims to be long lasting and waterproof, one of my must have requirements for the hot summer months. It certainly sounds good doesn't it! Benefit they're real push up liner is available online and instores now and I know I'll definitely be giving it a try next time I pass one of their counters. Have you tried the new Benefit they're real push up liner? What are your top tips for the perfect application? We all know the benefits of a good skincare routine, but despite using my hands far more I can be guilty of neglecting them so it's nice to have a specific range designed to exfoliate and protect hard working hands. 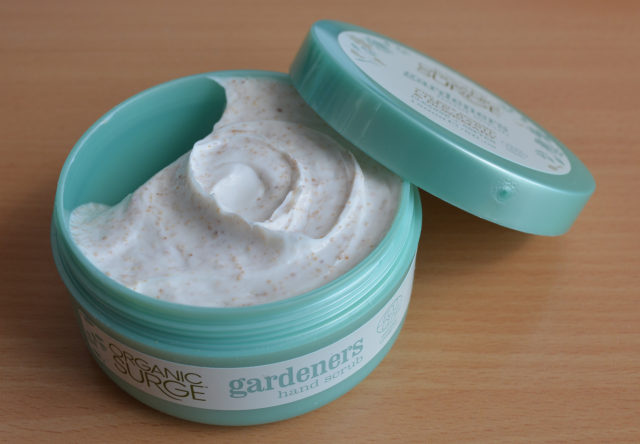 Starting with the Organic Surge Gardeners hand scrub, which I like to use once or twice a week. It's got natural olive seeds to gently buff away dead skin cells as well as shea butter to keep them soft and hydrated. It's scrubby without being too harsh and always leaves my hands feeling soft and smooth, ready for a thick layer of the matching hand cream. The Gardeners hand cream on the other hand is absolutely gorgeous, thick but not heavy or greasy, it's perfect for slathering onto dry damaged hands and it's now taken pride of place on my bedside table. Being a gardeners collection, I'd imagined the scent to be either very green or floral and I wasn't disappointed. Organic Surge have chosen lime, basil and rosemary which gives it a fresh herbal edge, but at the same time is really relaxing and luxurious too. 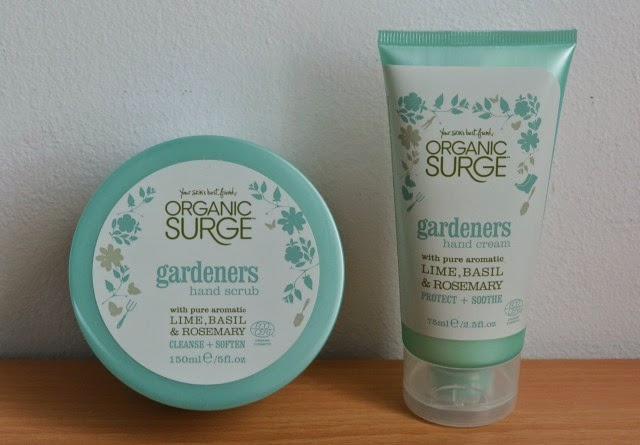 Have you tried this new Organic surge gardeners collection? What are your favourite hand products?